EB-5 Green Card by Investment Help? Experienced US immigration lawyer in Canada providing EB-5 Investor Visa services to Canadians. We proudly offer free comprehensive consultations! The US Government created the EB-5 Immigrant Investor Program to help encourage foreign nationals to invest in American businesses. The program provides a pathway to lawful United States permanent residence for Canadians who invest at least USD $1 million in a new commercial enterprise that creates ten full-time American jobs. If the business is located in a "Targeted Employment Area" (TEA), defined as a locality with high unemployment or a rural region, the minimum investment requirement is reduced to USD $500,000. The EB-5 Green Card through investment program is administered by US Citizenship and Immigration Services (USCIS), a division of the Department of Homeland Security. For the first two years, EB-5 Investor Visa holders from Canada are granted conditional permanent resident status in the United States. After 24 months of compliance with the stipulations of the investment immigration program, such as the job creation requirement, conditional EB-5 Green Card holders can apply to have the conditions removed. Once approved by US immigration authorities, EB-5 participants officially become unconditional lawful United States permanent residents. Should they choose to, eligible investment Green Card holders from Canada can then apply for United States citizenship after living south of the border for five years. EB-5 investors can also bring any dependent children under the age of 21 to the United States, thus keeping their families intact. Children and spouses enjoy the exact same visa status as the primary US EB-5 investor, therefore also having the opportunity to eventually become United States citizens should that ever be of interest. Under US investment immigration legislation, wealthy individuals and families from Canada can qualify for EB-5 Visas in two ways. EB-5 Regional Centers are USCIS approved organizations designed to actively manage EB-5 investor funds and the immigration approval process. Using investor funds, EB-5 Regional Centers strategically finance or buy equity in major job-creating capital investment projects typically located in TEAs. Investing through an Immigrant Investor Regional Center can offer Canadians several advantages compared to making a direct investment in a US business. According to official EB-5 statistics for fiscal year 2016, more than 95% of approved applicants invested in a Regional Center. Almost every single investment was also made in a Targeted Employment Area. In order to be eligible for the EB-5 Immigrant Investor Program 2019, Canadian investors must satisfy three essential requirements. The investment must be made with capital that was acquired lawfully. Earnings from legal employment, private businesses, real estate, stocks and bonds, inheritance, a gift, or any other lawful source of money will satisfy this requirement. EB-5 investors will be asked to provide evidence of how they acquired the investment capital. Unlike many other US immigration options, the Green Card investment program does not require candidates to have any specialized education or training, language skills, or previous business management experience. EB-5 participants are also never required to live in the same state as their investment. Canadians who are interested in participating in the US EB-5 Program 2019 can begin the process by filing a petition with USCIS, called the I-526 petition. This petition should demonstrate that the EB-5 applicant has invested, or is in the process of investing, the required capital in a new commercial enterprise that will create at least ten full-time jobs for Americans. This initial US Investment Visa application must be accompanied by extensive supporting documentation. Applicants who have already made the appropriate capital contribution before submitting their I-526 petition will need to prove that they made the investment with funds or assets owned personally. People from Canada who wish to obtain an American Investor Visa can also wait to see if their EB-5 Green Card application is approved before making the required investment. If a prospective immigrant chooses to wait, however, they will need to escrow the investment capital before submitting an I-526 petition to establish that they are in the process of making the requisite financial investment. Unless funds have been transferred into an escrow account before the petition is filed, USCIS will not approve the petition. Applying for the US Immigrant Investor Program is a complex legal process that can easily overwhelm a person without professional assistance. To maximize your chances of success, it is important to talk to a qualified immigration attorney. An experienced EB-5 lawyer can help you take the necessary steps before and during your Investment Visa application to have the highest possible chance of being approved without delay. Our Toronto-based US immigration lawyer is licensed to help all Canadians with the EB-5 Investor Visa application process. Questions about obtaining a Green Card through investment? Phone our legal team today for a FREE confidential consultation. The initial USA EB-5 Investor Visa application is USCIS Form I-526, called the "Immigrant Petition by Alien Entrepreneur." It is not necessary to make the required investment prior to filing Form I-526 provided the EB-5 candidate is in the process of investing. A mere intent to invest, without having made a commitment to invest, is not enough to establish that the immigrant investor is in the process of making the EB-5 investment. If the required capital has not been invested in an American business or Regional Center, the funds will generally need to be held in an escrow account for the investor's I-526 application to be approved by USA immigration officials. In such a case, the EB-5 investor's lawyer should review the escrow agreement before it is signed to be sure that it meets the client's precise needs. It is not necessary to create any of the requisite full-time jobs before filing the USCIS I-526 Form. It is enough for the applicant to include a detailed business plan that persuasively establishes that the required jobs will be created and maintained as a result of the investment. The business plan must explain why the size and nature of the new commercial enterprise will require the creation of the new jobs, and should also provide position descriptions for each job as well as a timetable for hiring. If the EB-5 candidate has created the jobs prior to submitting the I-526 petition, the application should be accompanied by I-9 forms, payroll records, and other relevant evidence to prove that the jobs are in place. As of 2019, it typically takes 12 to 18 months for USCIS to approve an I-526 petition from Canada, although individual EB-5 processing times can vary. Upon approval of the petition, a USA Investment Visa will be issued and the investor will be permitted entry into the United States as a conditional lawful permanent resident. If the EB-5 participant is already present in the United States, he or she will receive an adjustment of status (AOS) by US Citizenship and Immigration Services. At this time, a conditional US Green Card will be issued to the Canadian investor. The applicant's spouse and any unmarried minor children included in the EB-5 petition will each also receive an investor Green Card. According to US investment immigration policy, an EB-5 Green Card permits but does not require the person to pursue lawful employment in the United States. If an EB-5 investor from Canada has elected to go the direct investment route, however, he or she is obligated to play an active managerial role in the new commercial enterprise while the conditional Green Card is in effect. After two years of compliance with all conditions of the US Immigrant Investor Program, eligible participants from Canada are entitled to have the conditions of their EB-5 Green Card removed. To apply to have these conditions officially removed by immigration authorities, immigrant investors must file an I-829 petition. USCIS Form I-829, called "Petition by Entrepreneur to Remove Conditions on Permanent Resident Status," can be filed 90 days prior to the two-year anniversary of the date on which the EB-5 Visa was granted. If you plan to hire a United States EB-5 lawyer, always ensure that his or her professional services include the preparation of an I-829 Form and do not formally end once the I-526 petition is approved. If the I-829 petition is granted by USCIS, the Canadian EB-5 participant will receive an unconditional Green Card and will be granted the official status of USA lawful permanent resident (LPR). Since a conditional Green Card cannot be renewed, it is important to file the I-829 petition on time and to effectively demonstrate compliance with all investment Green Card conditions. The failure to do so can lead to the loss of United States permanent resident status. Once received by an EB-5 participant, an unconditional Green Card is valid for ten years. It can be renewed prior to its expiration, or the investor (and family members) can eventually apply for US citizenship. It may be possible for an EB-5 investor from Canada to become a US lawful permanent resident even if he or she has not yet made the entire capital investment or created the required number of jobs. Even if the investment and job creation requirements have not been fully satisfied, showing good faith compliance with the stipulations of the US EB-5 Immigrant Investor Program can potentially lead to unconditional US permanent residency. EB-5 investors should keep in mind, however, that they are expected to make the full investment and to create the required jobs within the two-year period. If they cannot, they must provide a reasonable explanation for their inability to do so, as well as evidence that all required jobs will be created within a reasonable time. The phrase "reasonable time" does not imply an open-ended time frame. USCIS generally expects any outstanding jobs to be created within the following year. After receiving a conditional Green Card through investment, Canadians will need to provide proof that they have satisfied all conditions of their EB-5 Visa. The following documents can be used to exhibit that an EB-5 participant has satisfied the various prescribed requirements of the US investor immigration program. Financial statements proving that the required capital investment has been transferred to the small business or EB-5 Regional Center. Bank statements showing that the required investment has been deposited into a bank account maintained by the enterprise will usually satisfy this EB-5 requirement. Proof of assets purchased and transferred to the business (in the form of invoices, sales receipts, or purchase contracts) may also be considered suitable verification. Financial records showing that the capital investment came from the Canadian investor's own resources. The individual's personal bank statements showing a withdrawal or personal loan that matches the amount of the investment may satisfy this requirement. When an existing business has been expanded, proof of the increase in its net worth will be needed. This can be substantiated with financial statements or an independent valuation by a competent third party. A qualified immigration professional can provide advice and assistance in assembling the many documents that will be needed to prove compliance with EB-5 Immigrant Investor Visa conditions. Investing in an EB-5 Regional Center can also make obtaining some imperative documentation more straightforward. Questions about US Investor Visa 2019 eligibility or document requirements? Want to learn more about the EB-5 Visa Process for Canadians? Our EB-5 attorney is here to help and offers complimentary consultations. After being an unconditional lawful permanent resident of the United States for five years, a Canadian EB-5 participant and their family members can apply for naturalization as American citizens. To qualify for US naturalization, an applicant must meet several criteria. Both Canada and the United States of America allow dual citizenship. Consequently, successful EB-5 petitioners from Canada can ultimately become dual Canadian-American citizens with both a Canadian and American passport. EB-5 Process for Canadian Investors 2019 - How Long Does USA Investment Immigration Take? The amount of time it takes for a Canadian to obtain US permanent residency or citizenship through the EB-5 Program depends on a variety of factors, the primary one being current USCIS processing times. To help you better under the EB-5 process and timeline, below we have provided a basic step by step guide to USA citizenship by investment. Please note: this is just a brief EB-5 Program summary, and is not offered as a detailed or comprehensive guide to the EB-5 Green Card process. Always consultant with an EB-5 immigration professional about your specific situation before proceeding. Step 1: Find a qualified EB-5 lawyer. Estimated duration: 1-10 days. Step 2: Evaluate USA EB-5 investment options with financial advisor and legal counsel, and determine the route that is best for you. Estimated duration: 1-10 days. Step 3: Research EB-5 Regional Centers or US business opportunities. Legal counsel can help with EB-5 Regional Center due diligence. Estimated duration: 30-60 days. Step 5: Complete I-526 Petition (initial EB-5 application) with supporting documentation. Estimated duration: 30-90 days. Step 6: Receive US Investor Visa approval (conditional Green Card). Estimated processing time: 12-18 months. Step 7: Make capital investment. Estimated duration: 5-20 days. Step 8: Complete I-829 petition with supporting documentation proving EB-5 compliance. Eligible after: 2 years. Step 9: Receive unconditional Green Card approval. Estimated processing time: 18-24 months. Step 10: Apply for US citizenship. Eligible after: 5 years (of living in the United States). In January 2017, the Department of Homeland Security (DHS) announced a plan entitled "EB-5 Immigrant Investor Program Modernization." The proposal would raise the EB-5 investment amount to USD $1.8 million for standard investments and USD $1.35 million for investments made in Targeted Employment Areas. Legal proceedings, as well as a public feedback period, have been undergone and the potential 2020 or 2021 EB-5 "price increase" could be finalized soon. Rumours are also swirling within the industry that the final EB-5 price increase will only be $925,000 in TEAs and $1.3 million outside, which is still substantial but not nearly as large a change as originally proposed. The 2018 increase in the Quebec Immigrant Investor Program (QIIP) minimum net-worth requirement makes it even more likely that the American Government will eventually raise the EB-5 investment criteria. If you are interested in obtaining a US Investor Visa, we encourage you to act fast if you wish to qualify before any possible increase in the obligatory investment amount. A capital investment is a contribution of money or assets to a new commercial enterprise. The EB-5 Investor's Visa Program does not limit a capital investment to an investment of cash. Almost any legally acquired asset that has a measurable value could be used to make a capital investment, including all of the following. When non-cash assets are used to satisfy the EB-5 capital investment requirement, they must be valued at their fair market value in US dollars. The primary EB-5 applicant must also be the legal owner of all assets that are used to make a qualifying capital investment in an American business or EB-5 Regional Center. Since contributions of equipment and inventory count toward the US Investor Visa capital investment requirement, it is possible for an applicant to close a business in another country such as Canada and to open a similar business in the United States. He or she can then use equipment and inventory from the former business to meet some or all of the US Immigrant Investor Program capital investment provisions. Can I Borrow Money to Make the EB-5 Investment? Under United States Immigrant Investor Visa Program legislation, a personal loan may be used to fund a 2019 EB-5 investment if the following conditions are met. This means EB-5 funding must be obtained exclusively using personally owned assets, such as home equity or an RRSP. If the loan is secured by assets of the new commercial enterprise in which the investment is being made, rather than the investor's personal assets, the investment will not count as a capital investment under EB-5 policy. What Makes a Capital Contribution A "Qualifying Investment"? An investment is a contribution of capital to the new commercial enterprise. Loaning money to the enterprise is not a contribution of capital and is therefore not an investment according to the terms and conditions of the EB-5 immigration program. To qualify under the program, the capital investment must place the investor's capital at risk. In other words, if the business fails, the EB-5 investor must be at risk of losing his or her investment. If a USA Investor Visa holder is guaranteed a return of any portion of their EB-5 investment, that portion is not considered at risk and does not count toward the required capital investment. For example, if a redemption agreement protects the Canadian investor against the risk of loss, any capital that is protected by the redemption agreement cannot be considered part of the compulsory capital investment under EB-5 2019 rules. Nothing prevents a participant of the EB-5 Investor Program from making a gain or profit from the mandatory investment. In fact, commercial enterprises are expected to operate at a profit and all EB-5 Regional Centers should plan to make money for their shareholders. During the first two years of the investor's participation in the EB-5 Program, however, the investor's profit (or other return on the investment) cannot be guaranteed, and it cannot be paid from the investor's required capital contribution. Congress created the EB-5 Immigrant Investor Program in 1990 in order to help stimulate the US economy. The program was intended to promote the creation of jobs by attracting new business investment from abroad. To serve that end, the program encouraged immigration by foreign investors who were willing and able to start new businesses that created jobs for Americans. In 1992, Congress added a pilot program (Public Law 102-395 Sec. 610) that gave EB-5 applicants the option of investing in a designated Regional Center rather than making a direct investment in a business. Ten years later, Congress removed the word "pilot" from the program, demonstrating its ongoing commitment to the EB-5 Regional Center investment option. Congress has also been extremely committed to the Green Card by investment program itself having consistently reauthorized the EB-5 Program for more than 20 years. Please note: the EB-5 Visa is the only US Investment Visa currently available to Canadians interested in immigrating to the United States, and should not be confused with the E-2 Visa (US Entrepreneur Visa). Canadians who wish to live in the United States while operating a business may be interested in the E-2 Visa provided they have no intention of ever earning a Green Card, as the E-2 Visa is a non-immigrant visa that must be renewed every two years. Please also note that various spellings for the USA Investment Visa EB-5 can be found on the Internet including "EB5 Visa", "E5 Visa", "E-5 Visa", and "E-B5 Visa," but all are likely referring to the EB-5 immigration program. Why Might a US EB-5 Visa Interest Wealthy Canadians? The EB-5 Investment Visa has been very popular among Canadians over the years, with Canada consistently ranking as one of the immigration program's top 20 source countries. People from Canada who wish to retire in the United States frequently participate in the program, as do many Canadian "snowbirds" who want to buy real estate in Florida, Texas, Arizona, California or Hawaii and spend their winters enjoying the warm climate. US immigration by investment is also popular among Canadian parents who dream of having a child attend a prestigious American university in the near or distant future. For example, it may be significantly easier for a Canadian to qualify for an Ivy League school as a local resident (EB-5 Green Card holder or dual citizen) as opposed to an international student. Investor Green Card holders can also qualify for in-state tuition at many colleges and universities, which can potentially result in tremendous savings for a family. There are also a plethora of other reasons and influences that may explain why a number of Canadians apply for EB-5 Visas each year, including a myriad of possible family and business considerations. All foreign nationals who are awarded an Investor Visa through the US EB-5 Program 2019 must invest in a new commercial enterprise in the United States. This requirement can be fulfilled by making a direct investment in an American business or by investing in an EB-5 Regional Center approved by USCIS. A direct investment can be used to create a new business or to change or expand an existing business. Canadians who choose the EB-5 direct investment route must play an active role in managing the business and are responsible for directly creating ten full-time jobs in the first two years of operation. An investment in an EB-5 Regional Center pools investment capital contributed by many immigrant investors into a large investment fund. Regional Center fund managers then invest this money in new commercial enterprises which are commonly called EB-5 projects. Prospective immigrants who invest in an EB-5 Regional Center are never required to play an active managerial role. Although the US EB-5 Regional Center investment option is far more popular than making a direct investment, one route is not necessarily better than the other. Canadians who are interested in starting a business in the United States can qualify for a EB-5 Visa by making a direct investment in a new commercial enterprise. Meanwhile, Canadians who want to live in the United States without creating or managing a business may prefer to invest in an EB-5 Regional Center. The detailed requirements of each investment option are described below. US investor immigration laws governing the 2019 EB-5 Visa Program give specific meaning to the words "new" and "commercial enterprise." Knowing those definitions may help you understand the precise kind of business in which you are allowed to invest in to qualify for an Investor Visa USA. A "commercial enterprise" is defined under the EB-5 Green Card Program as a lawful business that is intended to operate at a profit. This broad definition does little to limit the kind of business that an EB-5 investor can create. As long as the business can be operated legally, does not operate as a non-profit business, and does not include a non-business purpose such as owning the investor's residence, it can be used to qualify for an American Investment Visa. Commercial enterprises can be structured in any form that is suitable to the EB-5 applicant. They can operate as a corporation, limited liability company (LLC), sole proprietorship, or as a general or limited partnership. More complicated forms of ownership can include joint ventures, business trusts, and holding companies that hold wholly-owned subsidiaries. Each individual state in the United States of America establishes its own laws governing the form of a business. Those laws may differ. For that reason, EB-5 investors from Canada would be wise to seek legal guidance to help them decide upon a business structure that will best protect their investment. An EB-5 commercial enterprise qualifies as "new" if the enterprise was established after November 29, 1990. That means a business can be 25 years old and still qualify as "new" according to official EB-5 regulations. In addition, a commercial enterprise can qualify as "new" even if it was established before November 29, 1990, provided that the EB-5 nominee restructures, reorganizes, or expands the business. A Canadian EB-5 candidate can invest in any business, no matter when the business was created, if the participant restructures or reorganizes the business in a way that creates a new business according to the US Investor Visa rules. Examples include buying a farm that grows crops and turning it into a livestock farm, or buying a restaurant and turning it into a nightclub. Under EB-5 legislation, restructuring is only considered to have occurred when the shareholder fundamentally changes the nature of the business. Changing the name of the business or simply remodeling the premises without changing the nature of the business will not be accepted as a restructured or reorganized business. 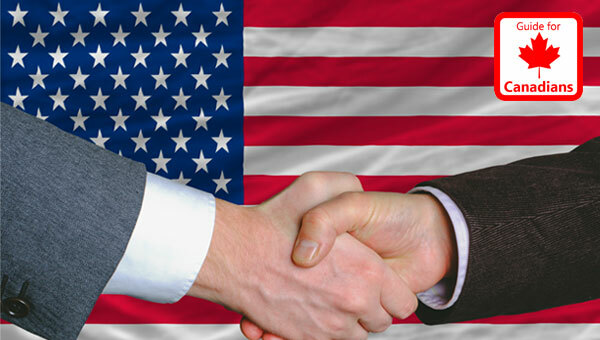 Immigrant Investor Program USA candidates can also invest in any business, no matter when it was originally established, provided the shareholder expands the business substantially. The participant does not need to change the nature of the business when expanding it. Expanding a business means increasing its net worth or the number of people it employs. Either the net worth or the number of employees must be increased by 40% to qualify as an expansion of the business under the EB-5 terms and conditions. An EB-5 investor from Canada who makes a direct investment in a new business in the United States must play an active role in managing the day-to-day activities of the enterprise or must be responsible for the company's policy formulation. According to the rules of the 2019 EB-5 Investor Visa Program, "active role" means that the partner actively manages the business on a daily basis or is directly responsible for the creation of policies that govern the business. If the enterprise is incorporated, the investor will typically be an officer of the corporation or will be a member of the board of directors (or both). Investors who play a passive role by letting someone else make all the business decisions will not satisfy the conditions of their direct investment EB-5 Visa. The new US commercial enterprise in which the EB-5 candidate's direct investment is made must create or preserve at least ten full-time jobs for qualified US workers. The workers must be direct employees of the enterprise or of its wholly-owned subsidiaries. Although the enterprise, not the investor, creates the jobs, the investor must assure that the jobs are created during the first two years after the investment capital is contributed to the enterprise. It is acceptable for the enterprise to use short-term financing to create the jobs before the Canadian EB-5 funding is made, provided that the temporary financing is replaced with the EB-5 investor's capital contribution. As an alternative to investing directly in a small business, the US EB-5 Visa Program allows prospective immigrants to invest in an approved EB-5 Regional Center. To qualify in this manner, an immigrant investor from Canada must make an investment in a USCIS EB-5 Regional Center under the same rules that apply to EB-5 direct investments. EB-5 Regional Center investments are pooled with the investment capital contributed by other immigrant investors. This money is then managed by a third party fund manager who assumes responsibility for investing in new commercial enterprises and for creating the required number of full-time jobs. In exchange for their contribution, investors receive an equity share of the EB-5 Regional Center investment fund. The Regional Center EB-5 Fund Manager charges a small fee for his or her professional management services. Since Regional Center EB-5 investment opportunities have already been defined and approved by USCIS, investing in one relieves immigrant investors of the obligation to identify an acceptable new commercial enterprise in which to invest. The EB-5 Regional Center uses the fund to invest in one or more new commercial enterprises within a specific geographic area, almost always located in a Targeted Employment Area (TEA). Funds usually specialize in making investments in designated industries. An investment outside of those industries might not satisfy the conditions of an EB-5 investment unless the fund obtains approval from United States Citizenship and Immigration Services to change its investment strategy. If the investment fund is based on the equity model, it will invest (usually by purchasing shares) in a new commercial enterprise. If the investment fund is based on the loan model, it will loan money to a new commercial enterprise. The investment fund's return on its investment is then shared with investors, after deducting management fees and expenses. Some USCIS EB-5 Regional Centers are riskier than others. Risk depends in part on the strength of the local economy, the skill with which the investment is managed, and the success of the individual projects in which investments or loans are made. Taking a greater risk might give an EB-5 participant a higher return on investment (ROI), but it may also cause him or her to lose all their investment or a portion thereof. A less risky investment might provide a minimal return on investment but may give the EB-5 investor a better opportunity to withdraw their investment in full after two years when they have satisfied all the conditional US Investor Visa requirements. When evaluating which are the best EB-5 Regional Centers in the United States, there are a variety of factors to consider. How long has the EB-5 Regional Center been operating? What is its historical performance? How experienced is the Regional Center's leadership team? What is the nature of the EB-5 projects it will be investing in? Do the proposed numbers look realistic? Has the Regional Center invested in similar projects before? Is the project located in a Targeted Employment Area (TEA)? What is the economic outlook for the region? How do the EB-5 Regional Center's fees and expenses compare to those of other EB-5 Centers? As of January 2019, the official USCIS EB-5 Regional Center list contained 887 approved Regional Centers, although many of these are not currently open for new investment from Canadians. Unless you are very familiar with investments of this nature, it may be wise to obtain advice from an investment professional before selecting an EB-5 Regional Center in which to finance. Your financial advisor can help you balance the degree of risk you are willing to accept with the investment return that you hope to receive. A US immigration lawyer can also help with EB-5 Regional Center due diligence and can represent investors that are assessing and negotiating with various Immigrant Investor Regional Centers. Under US EB-5 regulations, a "rural area" must be outside the boundary of any town or city with a population of 20,000 or more people. A rural area must also be located outside those areas that have been designated as metropolitan statistical areas (usually large cities and their suburbs). If the enterprise operates in more than one location, it must create most of its jobs in the Targeted Employment Area. For example, if the enterprise operates three businesses in three different locations, only one of which is in a targeted area, and if it creates most of its jobs in the two businesses that are outside of the TEA, the enterprise is not considered to be located in an EB-5 Targeted Employment Area. State governments may designate specific areas within a state as Targeted Employment Areas based on high rates of unemployment. If USCIS accepts the designation, EB-5 investors and Regional Centers may regard the area as an approved TEA. To learn more about United States EB-5 Targeted Employment Areas as designated by USA immigration authorities, please visit the official USCIS website here. United States Citizenship and Immigration Services publishes EB-5 processing times on a regular basis. In 2017, the USCIS Immigrant Investor Program Office began to display EB-5 wait times in a different format. Previously, the average EB-5 processing time was listed in weeks or months. USCIS now simply lists a "processing cases as of date." I-526 Processing Time: As of June 2016, the average processing time for I-526 petitions was 16.7 months. I-829 Processing Time: As of June 2016, the average processing time for I-829 petitions was 21.3 months. The average EB-5 Visa processing time for both I-526 and I-829 applications is notably higher now than it was a few years ago. For example, the average I-829 petition was adjudicated in only 13.5 months in summer 2015. According to recent data supplied by USCIS, there is currently a significant backlog of close to 20,000 I-526 applications pending adjudication. This is due to a sharp increase in demand for the US Investment Visa which has outpaced the immigration staff available to process cases. 2020 EB-5 processing times could potentially decrease, however, as USCIS is actively expanding the number of US investor immigration staff. Upon approval of a US Investor Visa, there is no wait or "priority date" for Canadian-born EB-5 investors who wish to schedule a consulate interview so that they can be issued a conditional Green Card. How Many US Investor Visas Will Be Issued? There is no overall cap on the total number of US Investment Visas that can be issued under the EB-5 Immigrant Investor Program. Instead, there is an annual limit imposed under the United States Immigration and Nationality Act (INA). In accordance with the immigration act, a maximum of 10,000 EB-5 Visas can be granted each year. There is no specific limit to the number of Canadians that can apply for the United States EB-5 Investors Visa Program each year. One of the primary reasons for a Canadian family to want to participate in the EB-5 Program is to maximize the chance of their children being able to study at an elite university in the US. There are a number of fantastic universities in the United States, such as Ivy League schools like Harvard, Princeton, and Yale, and in general it is much easier to get accepted to study at these institutions if you are applying as a US citizen or Green Card holder. Getting into a top-ranked educational facility as an international student can be extremely challenging, so many families from Canada move to the US to help ensure their children have the best shot possible once they reach that stage of their life. How Does an EB-5 Enterprise Create or Preserve a Job? An enterprise creates a job by hiring a full-time qualified employee for a job that that did not previously exist. Replacing an existing employee does not count as creating a job. For purposes of the EB-5 Immigrant Investor Program, employment is defined as follows. A qualified employee is one who can legally work in the United States, including US Green Card holders. However, the EB-5 Visa holder from Canada and his or her family members cannot be counted among the ten new employees. An EB-5 investor preserves a job by keeping someone employed in a troubled business. To qualify as a troubled business, the US business must satisfy the following requirements. What is Indirect Job Creation? If a new commercial enterprise employs a worker, this job has been directly created by the business. Indirect jobs exist outside of the new commercial enterprise but are created as a result of the business. If the new commercial enterprise requires services, equipment, or materials and the demand it creates for these goods and services leads to increased employment for Americans, these are indirectly created jobs. For example, new jobs that are attributable to supplying and servicing the new commercial enterprise can be classified as indirect job creation under the EB-5 Program for investors. EB-5 Regional Centers can count these indirect jobs towards their job creation criteria. Direct investment EB-5 entrepreneurs on the other hand are not permitted to include indirect jobs when calculating the number of full-time American jobs created. It is the responsibility of the Regional Center to submit appropriate evidence, using an acceptable economic model, to demonstrate that each investment will create at least ten direct or indirect jobs. Immigrant investors from Canada should always obtain legal advice before investing to be certain that his or her purchase of shares in a USCIS approved Regional Center will satisfy the EB-5 job creation requirement. If the investment is made in an enterprise that does not create jobs, such as a Regional Center, the enterprise must make the investment capital available to an entity that does create jobs, such as an EB-5 project. This is called the EB-5 loan model. To be approved for an investment Green Card with no conditions, the USCIS must be satisfied that the financial capital provided to an EB-5 Regional Center by each immigrant investor will create a minimum of ten direct or indirect jobs. Indirect jobs do not need to be located within the geographical boundaries of the Regional Center or the Targeted Employment Area it resides. Can I Invest Alongside Another Immigrant Investor? Under EB-5 policy, two or more candidates may pool their resources to invest in the same new commercial enterprise together. Accordingly, if two or more immigrant investors want to be business partners by creating a new commercial enterprise together, they may do so. This being said, each investor must individually meet the minimum investment and job creation requirements to be eligible for the USA Immigrant Investor Program. Two EB-5 investors who invest in the same enterprise must, therefore, create twenty new jobs for Americans, and each must make the required capital contribution to the business. Why a US Immigration Lawyer? An EB-5 immigration attorney can help Canadians interested in procuring a USA Investment Visa in several ways. First and foremost, an experienced EB-5 lawyer can assist their clients with the professional preparation an I-526 application that will maximize their chance of successful approval without any delays. In addition to preparing the application itself, qualified EB-5 lawyers can help an applicant obtain all the necessary documentation to support their case. Most EB-5 investors elect for the Regional Center option instead of making a direct investment. In such cases, US immigration attorneys can assist their clients with EB-5 Regional Center due diligence to help them avoid making any mistakes or even becoming a victim of fraud. Interested in speaking to an EB-5 immigration lawyer that is licensed to assist Canadians? Phone us today for a free consultation. Do You Accept Clients Across Canada? Yes! Although our law firm is based in Ontario, we can help Canadians across the country obtain an investor visa for USA. Whether you live in Vancouver, Calgary, Toronto, Montreal, or any other city in Canada, our professional legal services are available to you! It also does not matter if you are a Canadian citizen, Canadian permanent resident, or a foreign national legally working or studying in Canada. If you have any questions about the EB-5 process or how to obtain an investor visa to USA, we are happy to provide complimentary consultations. USA EB-5 Regional Centers can be created by anyone, including prospective immigrants from Canada. It is, therefore, possible to create a Regional Center and then to invest in that EB-5 Fund together with other foreign investors also interested in procuring a US Investor Visa. To attain official designation as a USCIS approved EB-5 Regional Center in 2019, an entity must file an I-924 petition with United States Citizenship and Immigration Services. The USCIS I-924 Form, called "Application For Regional Center Under the Immigrant Investor Program," allows an entity to request designation as a Regional Center or an individual to gain documentation in the form of an exemplar I-526 petition that seeks a preliminary determination of EB-5 compliance. To be successful, an EB-5 Regional Center application, together with supporting documentation, should demonstrate that the entity meets all the legal requirements of an EB-5 Regional Center. Canadians who want to create an Immigrant Investor Regional Center should obtain legal advice regarding the creation of the entity as well as designation of the entity as a USCIS endorsed EB-5 Regional Center. Can Canadians Invest in More Than One Business? To qualify for an EB-5 Visa, an investor from Canada must make the required capital investment in at least one new commercial enterprise. However, if an enterprise that is not associated with a Regional Center owns more than one business, the investor may spread the investment across those wholly-owned businesses. For example, if the required capital investment of 500 thousand US Dollars is made in a new commercial enterprise, that enterprise could allocate $300,000 to one business and $200,000 to a second business, provided that the enterprise owns both businesses. In such a situation, the two businesses together would need to create a total of ten full-time jobs for American workers. By investing in an enterprise that owns multiple businesses, the investor is permitted to diversify the required capital investment across the various entities. What is the EB-5 Success Rate? Many Canadians interested in procuring an investor visa in USA wonder about the EB-5 success rate. There is a host of factors that can determine the success rates of applications for EB-5 visas. The primary elements that determine success are the creation of a minimum of ten jobs, as well as evidence that the investment funds were derived from legal sources. According to official USCIS statistics, the overall I-526 approval rate is historically higher than 80%. It is possible for someone to receive a conditional Green Card by investment, however, but then to fail to be approved for permanent residency after the two-year conditional period. To maximize your chances of success when applying for an investment visa in USA, it is advisable to perform extensive due diligence and consult a qualified EB-5 lawyer. What Happens If My Circumstances Change After Submitting an I-526 Petition? Under US immigration law, United States Citizenship and Immigration Services (USCIS) determines whether a prospective immigrant is qualified to receive a USA Visa as of the date his or her application is filed. Consequently, initial EB-5 eligibility is based on the date on which the investor filed their I-526 petition. A change of circumstances after an I-526 petition is filed cannot be considered when the USCIS decides if a conditional Green Card by investment should be granted. For example, if new circumstances prompt a Canadian investor to revise their business plan in a way that makes his or her EB-5 Visa more likely to be approved, the USCIS cannot consider the revised business plan. The investor could, however, withdraw his or her I-526 petition and file a new one that contains the updated information. On the other hand, the law does not permit the USCIS to grant a United States Investor Visa unless the applicant is still eligible for US immigration through investment at the time it is granted. Consequently, if conditions change after an I-526 petition is filed but before an EB-5 Visa is granted the USCIS may not issue an Investment Visa if the candidate no longer qualifies for it in light of the new circumstances. After a US EB-5 Visa has been issued, a Canadian investor may decide to deviate from his or her original business plan if circumstances have changed. Provided that the investor still makes the required capital investment and creates the requisite number of jobs, the USCIS may agree to remove the conditions attached to the Investor Visa USA Green Card after Form I-829 is filed. This represents a change of policy, as the USCIS formerly declined to remove conditions if the investor did not follow the original business plan that was submitted with Form I-526. The new policy is intended to recognize that success in the business world often requires business owners and investors to alter their strategies as they adapt to changing conditions. The investor must nevertheless satisfy the USCIS that he or she filed the original business plan in good faith, made a good faith effort to follow it, and only deviated from the plan in response to changed conditions. In addition, the change cannot affect the EB-5 investor's responsibility to place their capital at risk and to sustain the required investment for at least two years. Deviating from the original business plan may also lead to greater scrutiny of an immigrant investor's I-829 petition by US immigration authorities. For example, if an investor's original petition proposed to invest in an EB-5 Regional Center project in a particular industry, redirecting the investment to a different EB-5 project in a different industry may cause the USCIS to reevaluate whether the changed investment qualifies for indirect job creation. Departing from a business plan is, therefore, a decision an investor should make only after obtaining legal advice from a qualified EB-5 lawyer. For a confidential consultation about US citizenship by investment via the EB-5 Program please phone us today or request a call back via our contact form. If you are interested in obtaining a US Green Card through investment, please complete this form or phone our team. 24h Response Time! © 2019 EB-5 Investor Visa Application Service. All rights reserved. Disclaimer: The information presented herein is only for informational purposes, and should never be construed as legal advice or a solicitation to buy any security!